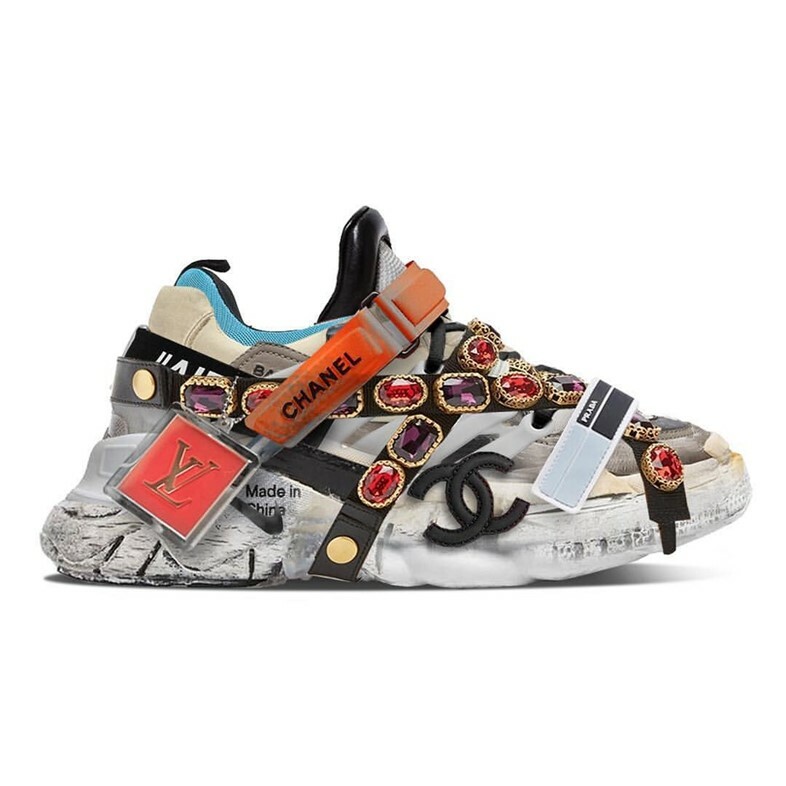 Following the release of the Louis Vuitton Archlight, Kiko Kostadinov and Asics’ collaborative Gel Burz, the Balenciaga Track, and countless other contenders, it may seem that, in the year of our Lord 2018, we’ve hit peak ugly sneaker. Given the trend seems to be going nowhere, though, and as we wait in anticipation for the next absolute unit to drop, the question on our lips is: where do we go from here? Step in Michael Cutini. The Milan-based footwear designer is making a name for himself with his unique sneaker hybrids, which see him splice Air Max with Air Force 1s, Ozweegos and Triple S, and LV with Gucci, Prada, and Chanel to create the ultimate, boss-level kicks. “I started my Instagram a year ago, when I was working for a well-known label but in a totally unproductive position – so I decided to start creating these mash-ups to attract attention from other brands,” explains Cutini. It worked. Soon after, he was approached by Italian label Santoni, where he now works as a junior sneaker designer.